Welcome to Garberick Realty Co. Thanks for clicking on to our website. Please, take your time looking around. We have more here than just our listings. There's plenty of free information for anyone to use. This is true even to the person planning to buy or sell on their own. The reason is that we want to help our community not just service it. In order to have a smooth, successful sale you need to have informed buyers and sellers. When you hear of horror stories pertaining to real estate transactions it's normally due to the lack of information or misinformation. Our website has the tools needed to make just about anyone an informed buyer or seller. 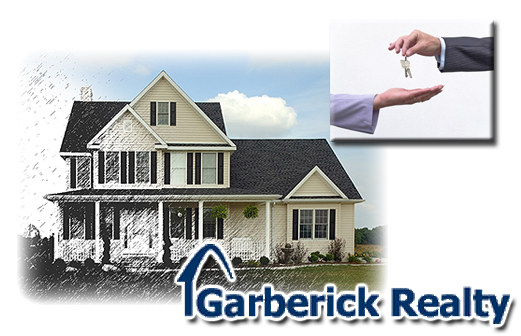 Garberick Realty Co. is your complete real estate company. We can handle all areas of real estate. If you have a residential home, commercial business, farm, or even vacant land to sell or auction we can handle it. Also, we are TRUE members of the Multiple Listing Service (MLS). In addition, we at Garberick Realty Co. are also members of the Mansfield Board of Realtors. This means our listings get as much exposure as possible. This is very important when marketing real estate. So, if you are planning to buy or sell any real estate here anywhere in Ohio, give Garberick Realty Co. a call, visit, or email today!! !